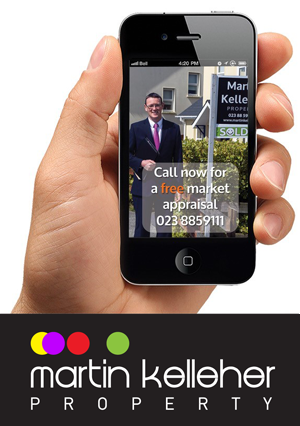 (Rental income € 11,000 pa estimate) or trading down property. Accommodation briefly; Entrance hall, open plan kitchen/dining, utility, sitting room, guest toilet on the ground floor. The first floor includes 3 bedrooms, ensuite and a bathroom. Bright and spacious entrance hall with under stairs toilet. Tiled floor. Great light streaming through the large south facing windows. Spacious room with raised fireplace with stone surround. Fitted kitchen includes plenty of storage units. Tiled floor. Large utility room with plenty of storage and door to rear yard. Under stairs toilet. Tiled floor, WC and wash hand basin. Stairs to first floor landing and airing closet. With airing closet and access to attic. Double bedroom with south facing windows and fitted wardrobe. Single bedroom with south facing window. WC, wash hand basin and bath. The property is connected to all main services including water, sewage, electricity and telephone services. Windows and doors are uPVC double glazed. Heating is by means of oil fired central heating. There is an allocated car space nearby. The property has access to unallocated off street car parking to the front. There is also car parking to the rear of the house. There is an elevated south facing patio to the front of the house. Type Eircode P85V296 into smart phone for exact driving directions. From Clonakilty take the Cork exit off Supervalu roundabout. The property is approx. 100 metres on the left side.